The second destination for our bikes and beer holiday would officially begin our coverage of Victoria’s High Country Brewery Trail. From breakfast in Mansfield, and after collecting a bag of dark chocolate covered coffee beans from the Mansfield Sweet Experience shop (my “driver stays awake” pills), we drove direct to Glenrowan, home to Ned Kelly’s last stand and the gateway to Black Dog Brewery. 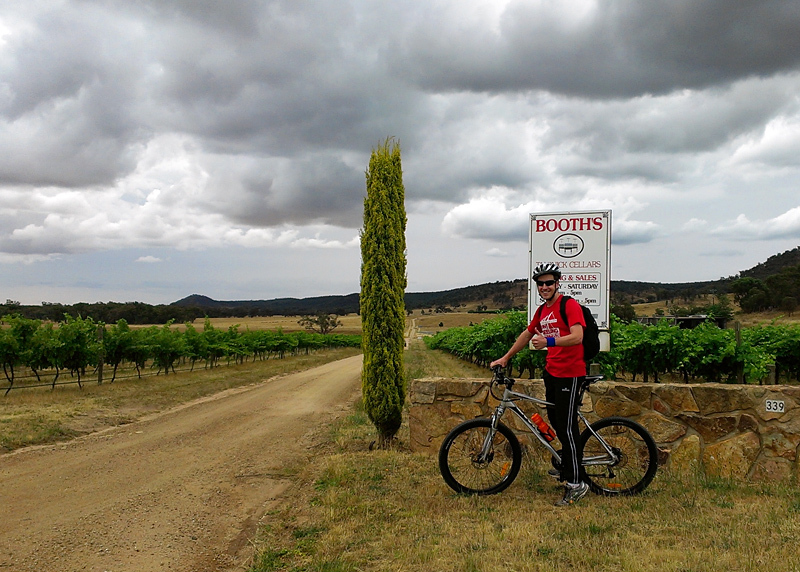 We parked just off the Glenrowan main street and then rode along Old Hume Highway, up Glenrowan-Boweys Road, then down Rowans/Booth Road to Taminick Cellars . It was a pleasant but windy 15km ride along sealed and unsealed roads. The roads were thin but the traffic was rare. While you’re never confronted with any hills on this ride, there is a fair change in elevation over long stretches with low gradients, so the ride did require some work but nothing strenuous. A cool and cloudy but dry day made for perfect riding conditions. The clouds also enhanced the contrast of the scenic open country that surrounded us on the ride. It was our second visit to Taminick Cellars, which is run by the Booth family and houses James Booth’s Black Dog Brewery. The beautiful brick cellar door of Taminick doubles as the Black Dog beer bar, with four taps and a handpump pouring James’ flavoursome core range beers. It’s one of the most delightful settings for a brewery that I have ever visited. Rustic yet cozy, with wine barrels lining the brick walls. It suits wine and beer alike, country style. After a solid ride in, sitting down in the cellar to pots of Lazy Dog Golden Ale, Howling Hound Pale Ale, Leader of the Pack IPA was a relaxing reward. James Booth joined us and we chatted about the developments of his brewery and the region’s beer businesses over the last year, since we had previously been there. James also provided us with an up-close look at his nano brewery, an example of how simple small setups can produced wonderful high quality beers. Time flew by as we filled up on the handpumped stout. We could have stayed there for forever, with the such harmony between the character of the Black Dog beers and the setting. However, we had to allow for a ride back to Glenrowan for lunch and then drive to Beechworth where we had a 6pm dinner booking at the brewery. So, like last time, our Black Dog visit was far too short. 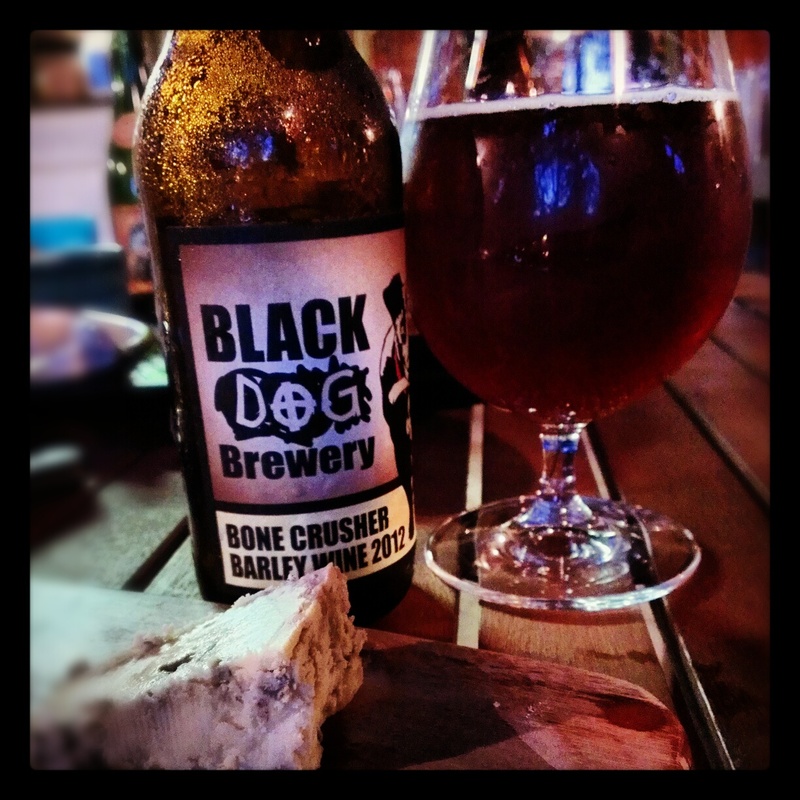 We bought four bottles of the Black Dog Bone Crusher pinot barrel aged barley wine (one of my most favourite beer styles), two of which we would crack a week later for Christmas with some blue cheese from the nearby Milawa. 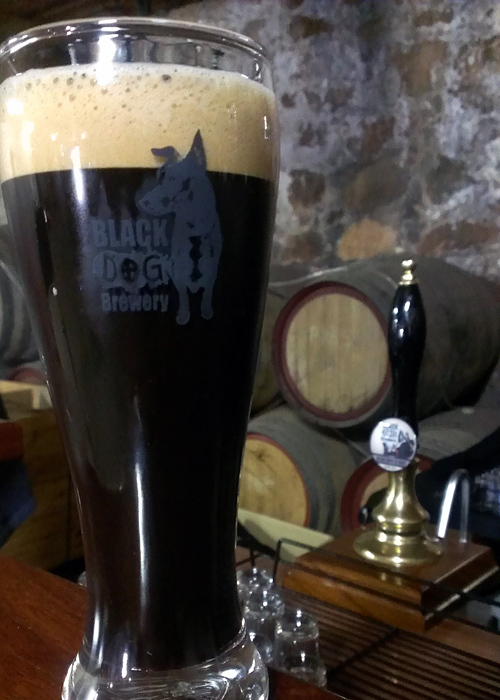 Sublime beer, Black Dog’s best yet, I can’t wait to drink more…and more! Returning to Black Dog is again high on our priority list of things to do when we are in the region again, especially because James is now in the process of installing a new brewery. At the time of our visit, the new tanks had just been shipped from China. His initial custom built nano brewery, a three pot system similar to the full mash setups found in the garages of many advanced home brewers, will soon be replaced with shiny stainless steel, greatly increasing his brewery’s capacity and refining brewing techniques. His system will be the first of its kind in Australia, so I am excited about returning to discover the fully operational Black Dog brewery. Maybe it was the beers we had consumed, resulting in an unfamiliar level of relaxedness whilst cycling, or maybe it was familiarity with the route and lack of a headwind…but the return 15km ride seemed to pass by much quicker than the inbound journey, even though it took us 2 minutes longer. Yep, it was enjoyable. Should I put it down to the beer? It was probably a combination of both. When we arrived back at our car we were feeling fresh and sober from the country ride, but it was almost 4:00pm and we hadn’t had lunch. Thankfully, we’d started the day with a late breakfast and the Black Dog beers had tied us over, but we needed a meal of some type, so we simply headed to the first food option in front of us at Glenrowan, which was Ned’s Burgers House. We bought grilled fished burgers, which were very basic, definitely nothing to write home about but served their purpose, then walked a lap of the main street to take in the Ned Kelly kitsch. Next we jumped back in the car and hit the road for Beechworth. 40 minutes later we arrived in Beechworth and checked into our usual choice of accommodation, Tanswell’s Commercial Hotel. 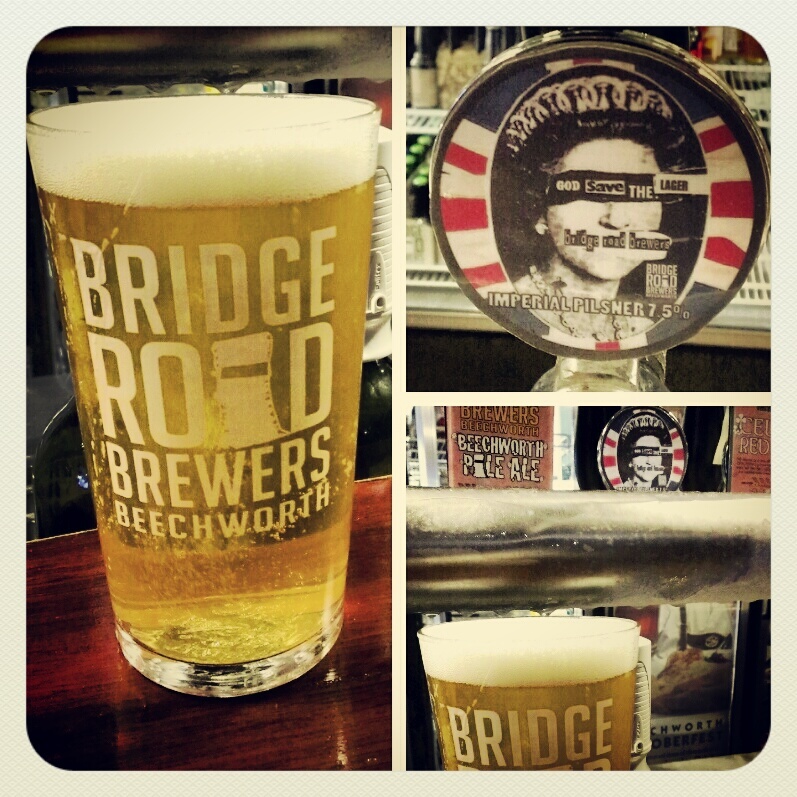 The hotel pub sits next to the beloved Bridge Road Brewery, in the centre of Beechworth town. In the past we’ve just stayed in the basic cheap rooms at Tanswells, which simply has a bed and sink with communal bathrooms across the hallway. For a short stay, it’s all you need. This time we decided to “splash out” and book the deluxe spa suite for our two night stay. The spa suite is MASSIVE! With a large bedroom, separate lounge room with a corner spa, full kitchen and a decent bathroom. It’s bargain accommodation for only $125 per night! Highly recommended. The suite previously acted as live-in quarters for the hotel owners/managers/staff, but was converted into accommodation when Ben Kraus was running the hotel. I was eager as ever to get down to the brewery and start working our way through the large tap line up of the Kraus & co beers that we always relish. Whilst we’ve been to Bridge Road Brewers many times now, and we often enjoy the brewery’s beers home delivered as Bridge Road Posse members, I never tire of drinking at the brewery. They beers always seem that little bit more vibrant and quaffable at their birth place. This occasion provided us with our first look at the recently renovated brewery and bar, with both sections expanded across the old coach house building, along with the installation of shiny new brewhouse tanks. It has been great to see the evolution of this brewery over the years. There’s always something new to see, experience or taste at Beechworth. Sunday is the one night of the week that the brewery is open for dinner, so we’re always keen to take advantage of the opportunity. We shared gourmet cheese topped pizzas and drank beers from the Aussie Ale, to Saison and Robust Porter. The highlight was enjoying a full pint of their 2012 GABS brew, God Save The Lager, an Imperial Pilsner that I hadn’t been able to enjoy before on such scale. Previously I had only tasted it in very small amounts, limited by being the designated driver or at a tasting event. This is a pint-drinking beer! I can’t explain my love for being able to drink so well in a brewery then be cozy in bed within the space of 100 metres. 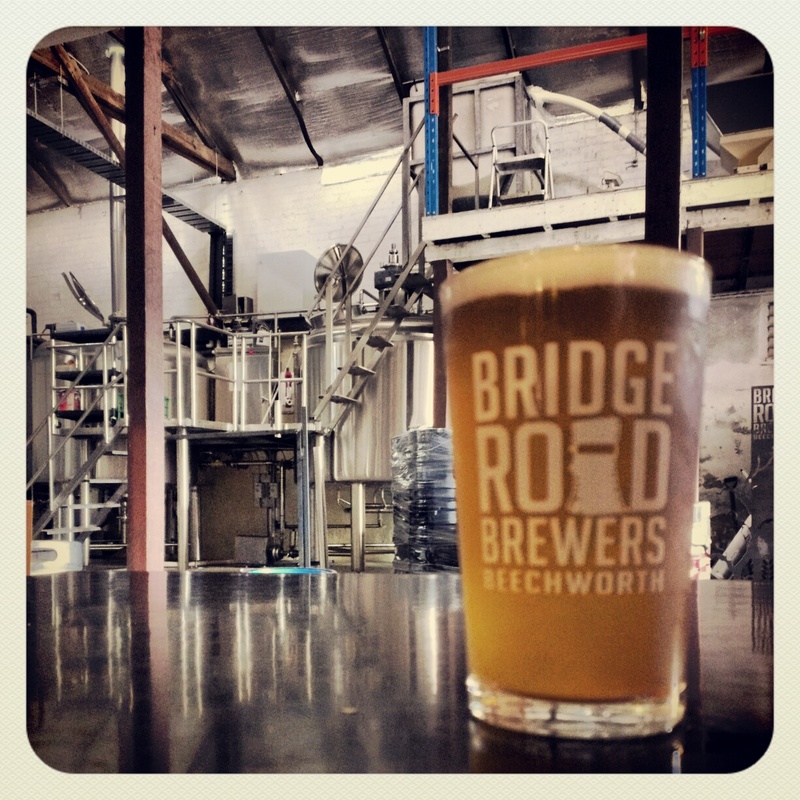 The co-location of Bridge Road Brewers and Tanswells Hotel is a beer lovers win in Beechworth! 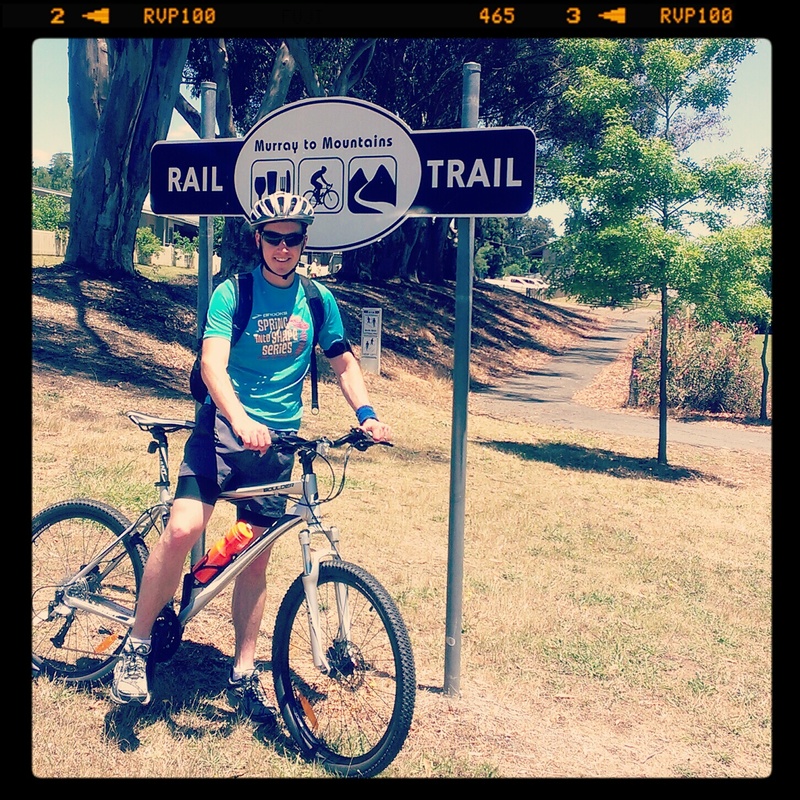 Monday morning saw us hit the actual Rail Trail for the first time, with the biggest ride of our holiday. 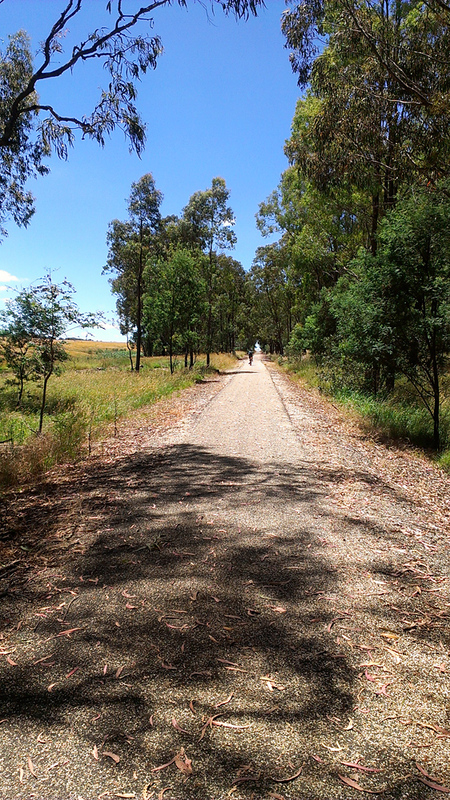 Starting from our Beechworth accommodation, a little groggy from a big night of beers, we rode down to the cycling trail entrance at the site of the old Beechworth railway station. The sun was out and a warm day was forecast. The first few kilometres where either flat or slightly uphill. It was a warm day and the insects were out in force, but it was an easy path to ride along. Then…it was downhill. A long long roll downhill! At first the downhill gradient was hardly noticeable, but the optical illusion of flatness became clearer the more we rolled, faster and faster, without any need to pedal. Alongside the rail trail path is a downhill mountain biking track that crosses through the bumpy bushland on either side. We did not know what to expect from the route, but had a general plan of where we wanted to ride to. So, the terrain’s elevation and gradient was unknown. By the time we hit our destination of Everton station, 17kms down, we knew a big task was ahead of us for the return journey. Because we had covered the first leg so quickly, due to the down hill, we rode a further 3km down the road to tiny Everton town. 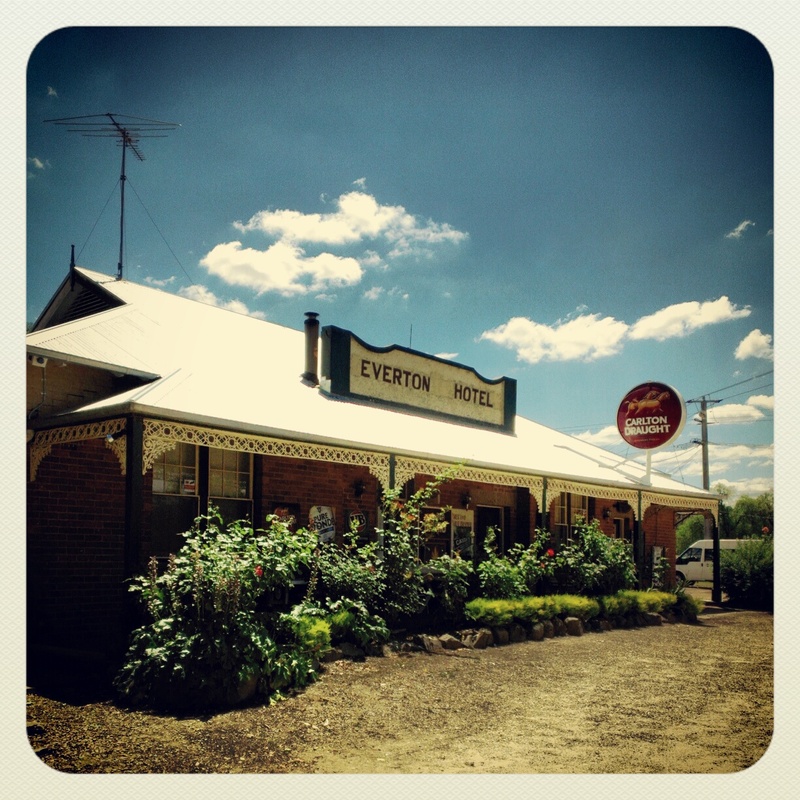 Everton seemed to consist of only a pub, basic general store and a cute bus stop. We rested there for a moment, and then started the 20km uphill ride back to Beechworth. Wide sealed roads and paths along the Murrays to Mountains track made the riding straightforward, but the slow eternal uphill climb demanded hard work. We stopped after about 10km for a rest, where there was a shelter with hammocks, which provided a nice moment of relaxation in the bush. 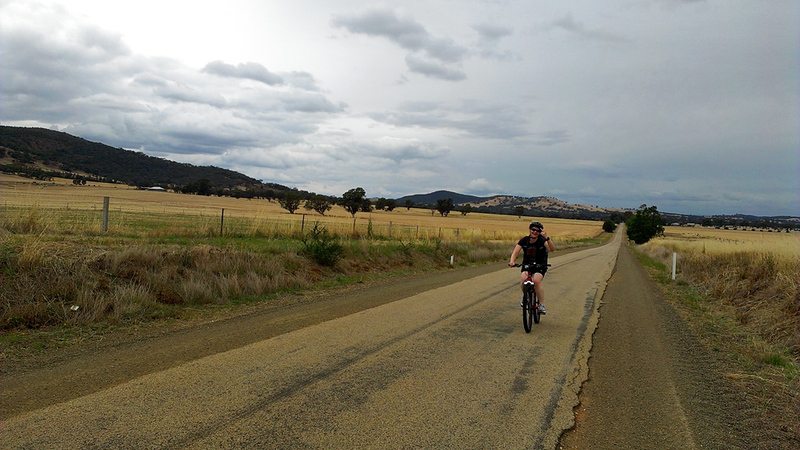 The last couple of kilometres, riding back into Beechworth, were a relief thanks to a downhill stretch. The return journey took us twice the time (1hr 45mins) of the downhill outbound journey. A total of 40kms marked the biggest ride we’ve completed in a single day. A late lunch of salad sandwiches at the Beechworth Pantry provided us with exactly what we wanted post ride. We were both exhausted and could have ended our day at that point. But I can never pass on the opportunity for a couple of afternoon brews at the brewery. A pint of Beechy Pale, a pint of India Saison…if only every Monday was like this. 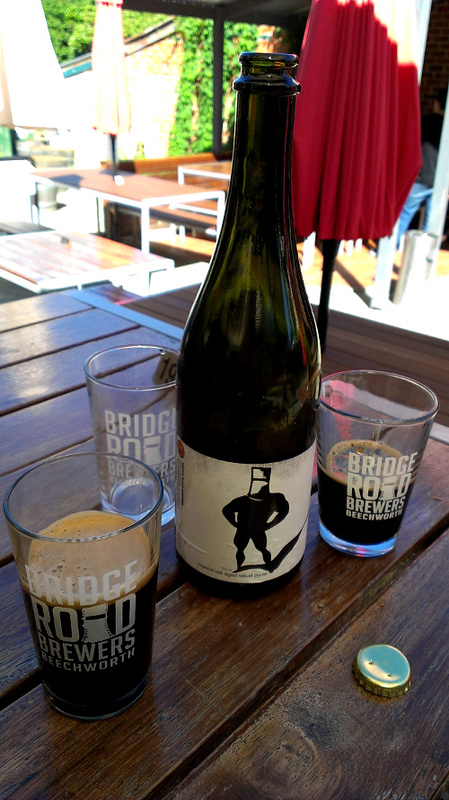 I also took along with me a bottle of a Bridge Road beer that had been a surprising find at Olinda Cellars near home. 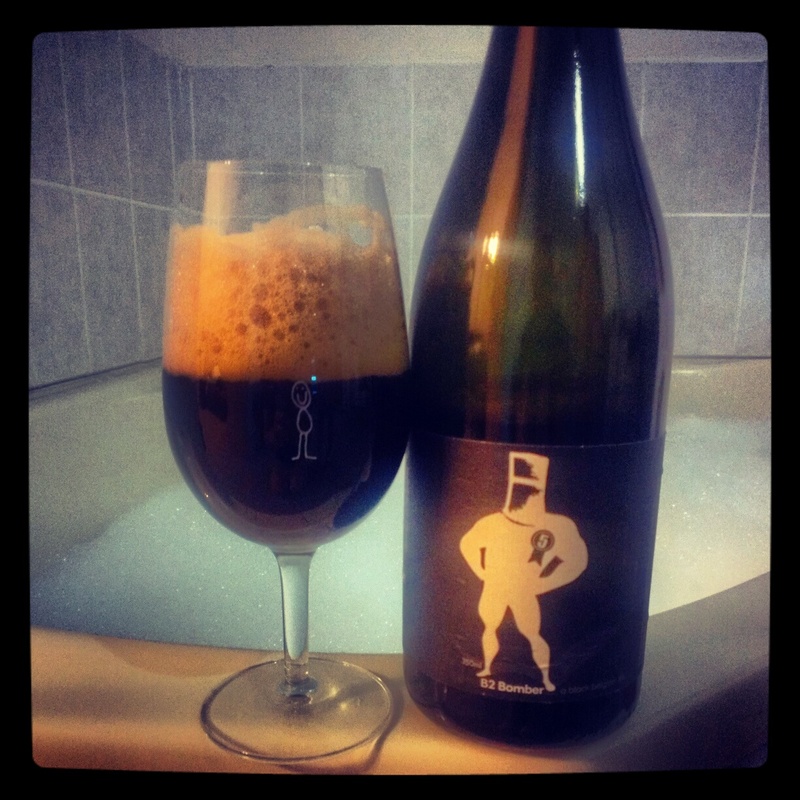 Bridge Road Brewery’s forth anniversary ale in 2009 was an Imperial Oak Aged Robust Porter, bottled in 750mls. I had only tasted it once before, at a Slowbeer tasting event in June 2010. By that time a sour finish suggested a yeast infection may be present in the beer. It was around a time when a number of reports about beers-gone-bad from Beechworth were noted by drinkers. Thankfully, it’s something that hasn’t been heard of since from any Bridge Road beers! The brewery now has a solid reputation for producing beers with consistently excellent quality as well as being renowned for innovation and a benchmark for Australian interpretations of styles such as the Chevalier Saison. I bought the bottle of Imperial Oak Aged Porter knowing full well it might be infected, but the beer geek in me wanted to know how the beer had changed over the years, and what better opportunity than to share it with the brewer at the brewery. Unfortunately, the fridge in our spa suite was on too high and froze everything, including the beer. Nonetheless, we were still able to taste it, finding the infection still evident but not to the point of making the beer completely undrinkable A fullness of silky chocolate dominated. It’s not a beer that anyone would sell or recommend drinking in such a state, but I loved the experience of drinking this unintentionally funky four year old, fourth Anniversary ale with the brewer. In return, Ben brought us a glass of his Single Hop Galaxy IPA (my favourite of Bridge Road’s regular beers) fresh from the bright tanks, which was hoppy gorgeous! A “wow” moment. He also gifted us a rare bottle of the highly regarded and much sort after* collaboration brew with Mikkeller, Dark Harvest (*a second batch of Dark Harvest has just been brewed due to the popularity of the first, which many of us expected to be only a one off). It was a special moment on top of an already special moment, by just being at the Beechworth brewery in the Monday afternoon sun after a big workout. We finished the day with dinner in the Tanswells pub then retired with a bottle of original B2 Bomber (Bridge Road’s 5th Anniversary Ale from 2010) in the spa. The view from the Beechworth gorge. 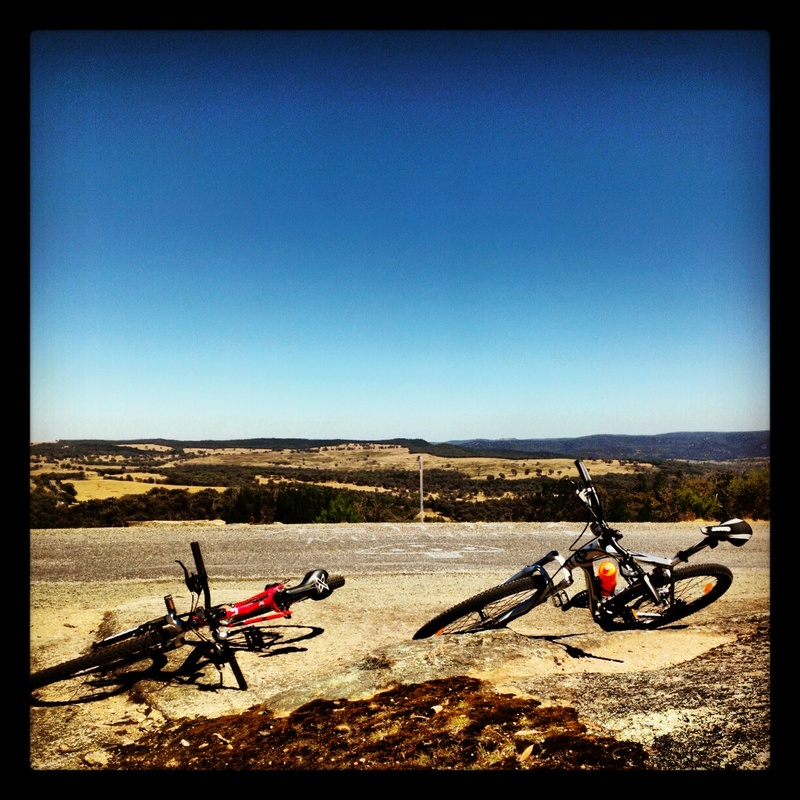 The next morning we checked out of our accommodation then went for a casual 8km ride around Beechworth. 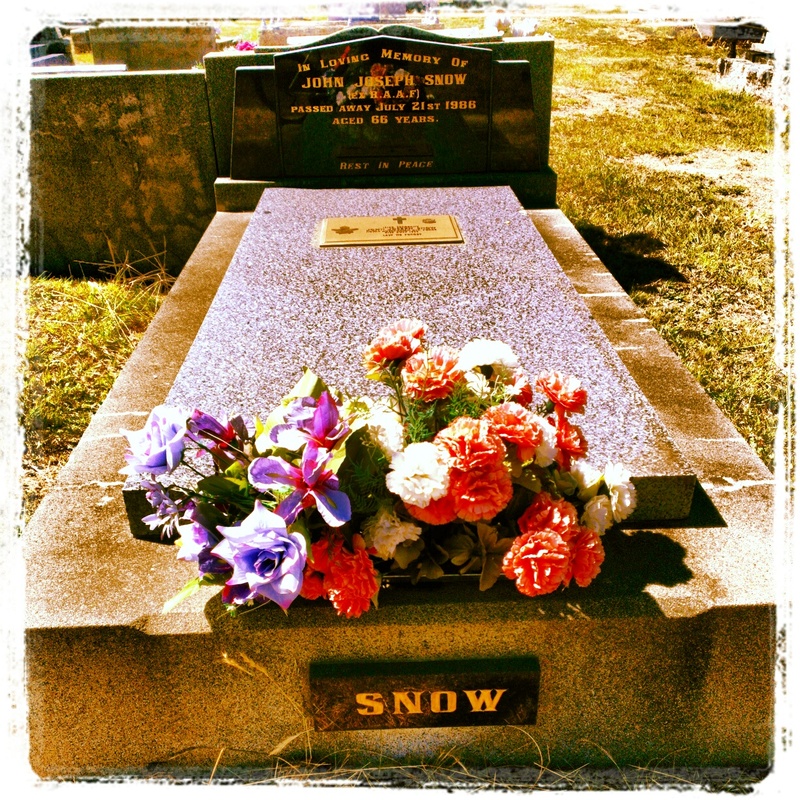 Half guided by a vague track on a local tourist map, we rode around Lake Sambell, where we got a little lost, then the Beechworth cemetery, where we found John Snow(? ), and then up the hill where we enjoyed beautiful views from the gorge (Beechworth Historic Park). After rolling down the gorge track, we finished up the STEEPEST HILL OF THEM ALL, along Camp Street. Look out for that…it’s a very short sharp hit that is harder to ride up than it seems. Overall, it was an excellent little circuit for sightseeing. Post-ride refreshment came in the form of gelati from Le Blanch Ice Creamery…and then it was time to tear ourselves away from Beechworth and the Bridge Road beers. So far, Jamieson, Glenrowan and Beechworth had all provided us with exactly what we wanted on this holiday…good biking and good beer. We bundled our bikes back into the car and hit the road for Bright, where the country really gets high. 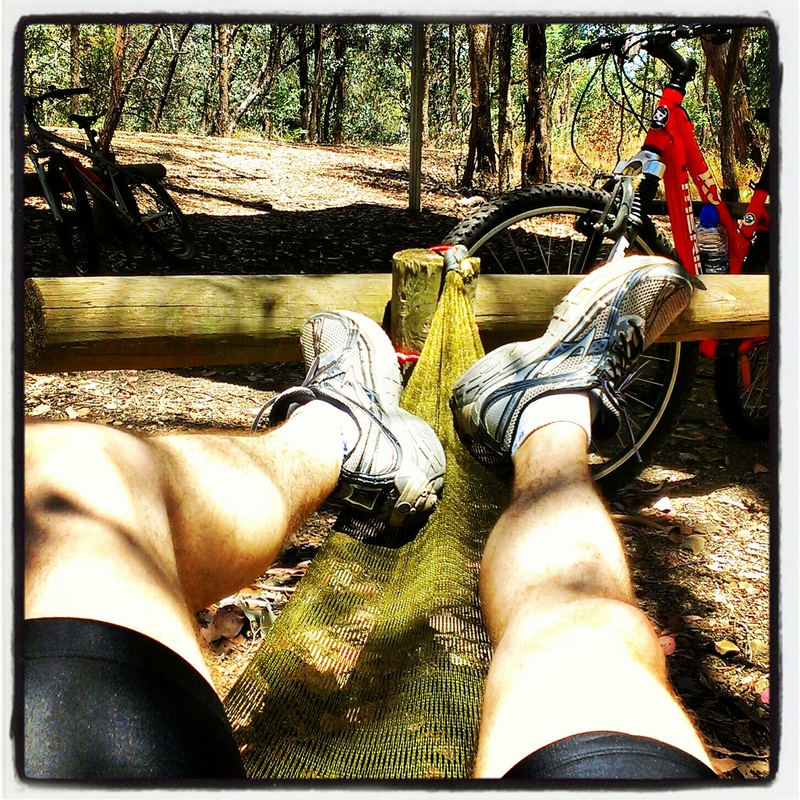 Tags: Beechworth, beers, black dog brewery, bridge road brewers, cycling, fitness, High Country Brewery Trail. Bookmark the permalink.